hlhoff (guitarist and vocalist) and me (Marc Mittelacher - drums, vocal) met on a private party with live music. We played a few old songs as special guests even that we never rehearsed since the old days. It worked anyway. We had so much fun along with the party guests that we decided not to lose any more time. Bassist Andreas 'Andy' Merck re-joined us very excited. The result: “Rumble is back on the Beach“ in its original line-up. Along with the “reunion“ comes this new CD album compilation covering the early years of the band Rumble On The Beach. 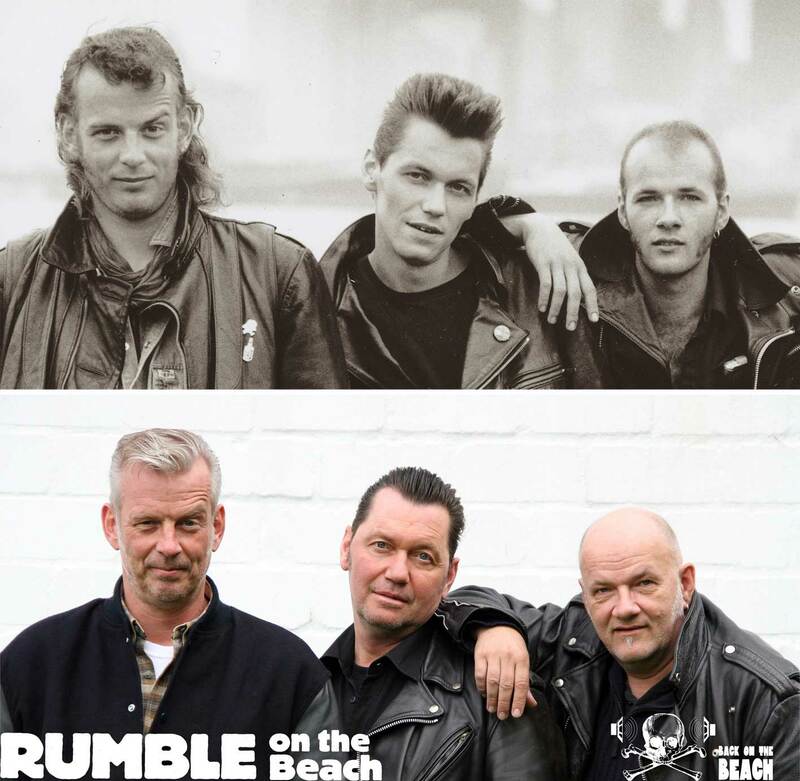 Rumble On The Beach was founded in Bremen, West-Germany, in mid-May 1985 after Andy, Ohlly and me left the Rockabilly band Randy Rebels for new directions. I already had been playing together with Andy since late 1983 in the first line-up of the Randy Rebels, when Ohlly joined the band as a rhythm guitar player in mid-July 1984. Ohlly brought a lot of innovation into the band which fitted to the new ideas of Andy and me, and it soon became clear that an evolution just started which finally had to result in the creation of a new band. It was also the brand of the time to create something new out of Rockabilly music. The influence of those Neo-Rockabilly and early Psychobilly bands was there for anyone of us. Customer evaluation for "Rumble On The Beach - Patch (Black & White)"